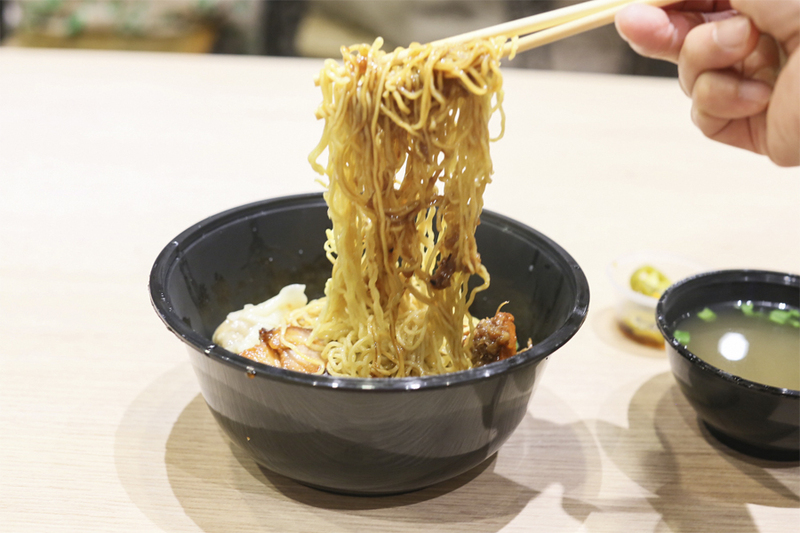 Singapore’s Wanton Noodles are just not quite the same as Hong Kong’s, in which noodles are slightly thicker and base saucier. We always prefer the dry compared to the soup. 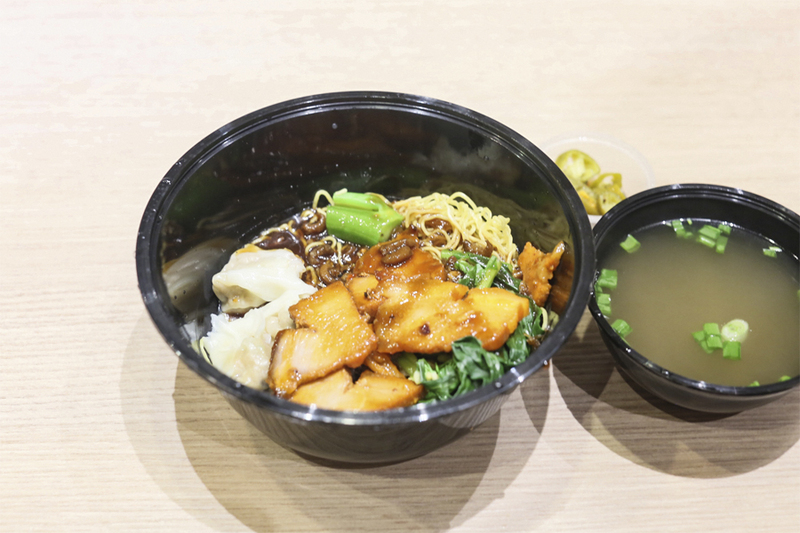 The dish has probably evolved with some influences from Malaysia and Japan as well. 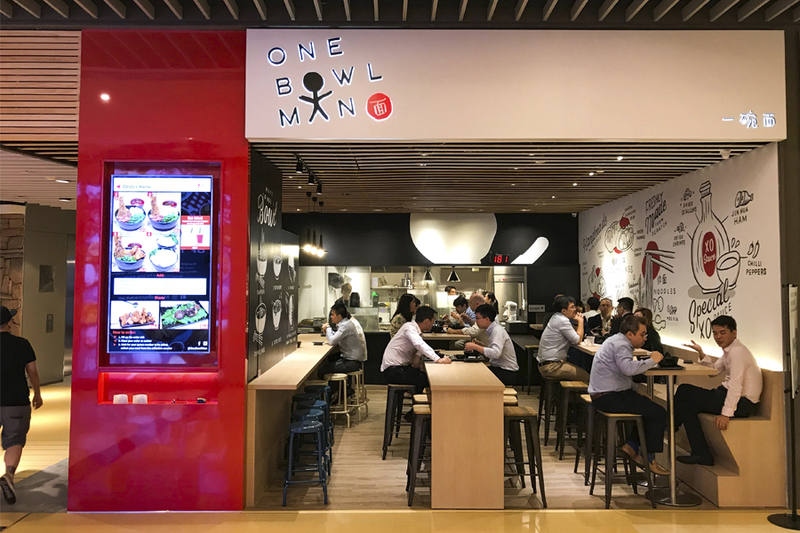 I am game enough to try different versions, and came across One Bowl Man at Marina Bay Link Mall (not to be confused with One Bowl Restaurant & Bar). 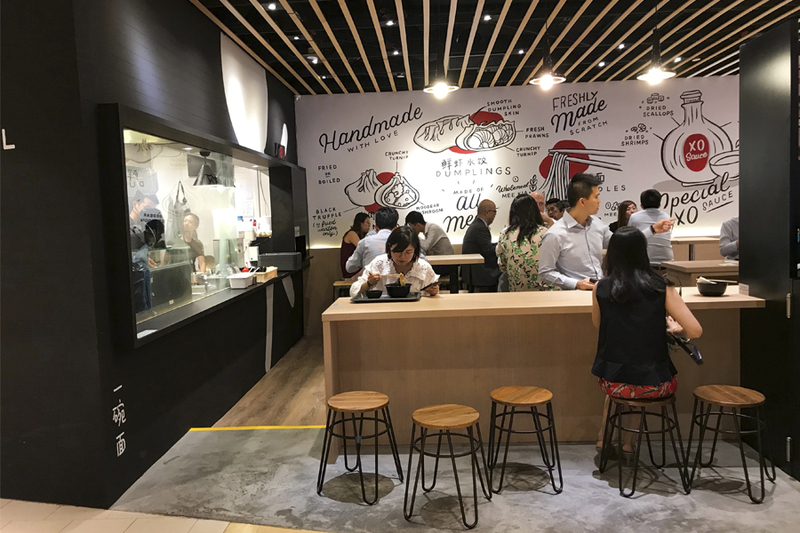 The store, resembling a typical ramen bar, serves up a modern rendition of Wanton Mee. 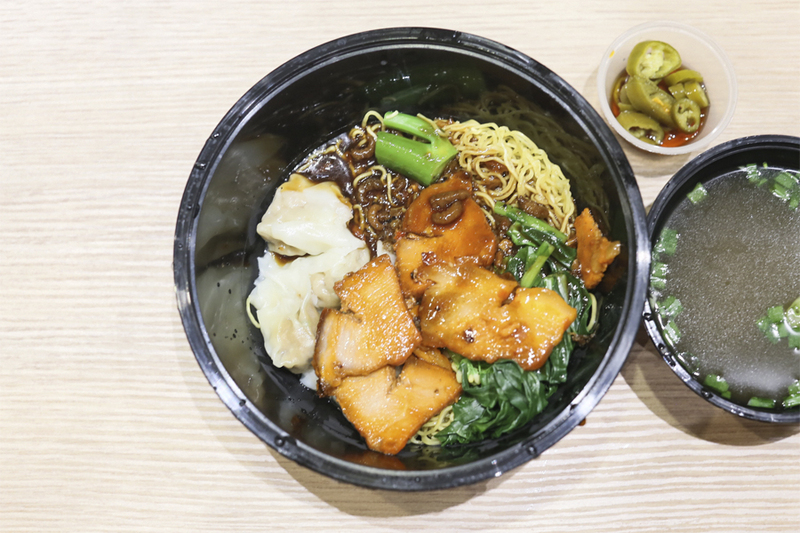 Its signature is the XO Wanton Mee with Char Siew ($7.80), with variations such as the XO Dumpling Mee with Char Siew ($8.50), Dang Gui Braised Beef Mee ($8.50), and Wanton Soup with Kailan ($8.80). 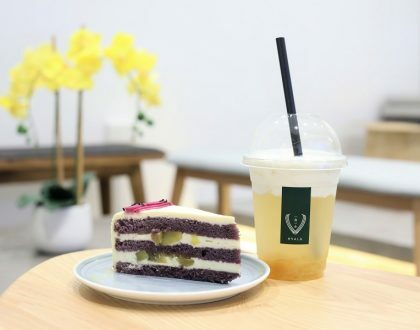 There are ‘gourmet’ versions such as black garlic oil, added with Truffle Wantons. 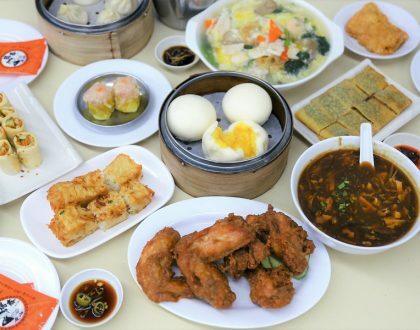 The dish is said to be “specially created to suit the taste buds of locals as well as foreigners”. 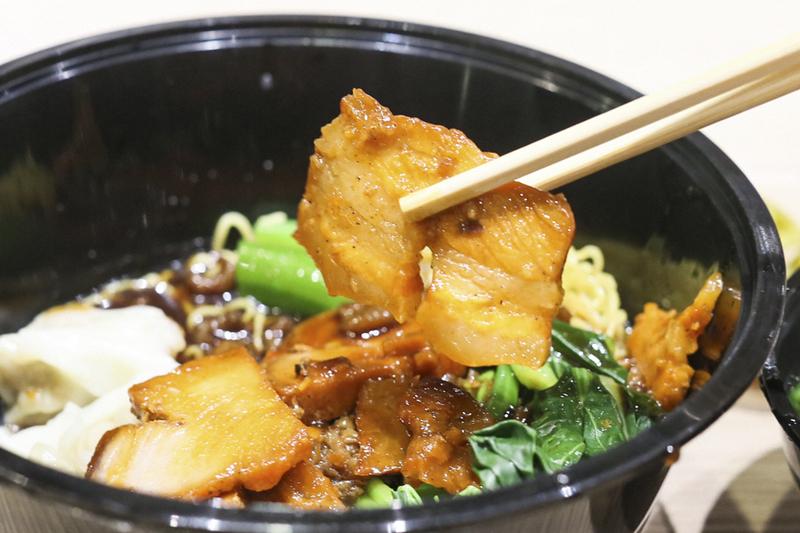 You know how you eat Wanton Mee at the hawker centres, and there is always that one or two elements that do not quite cut it – be it the super thinly sliced char siew, wantons with negligible meat, or chilli that is from the factory. When everything else is okay. I sensed that this One Bowl Man tries to please from all angles. 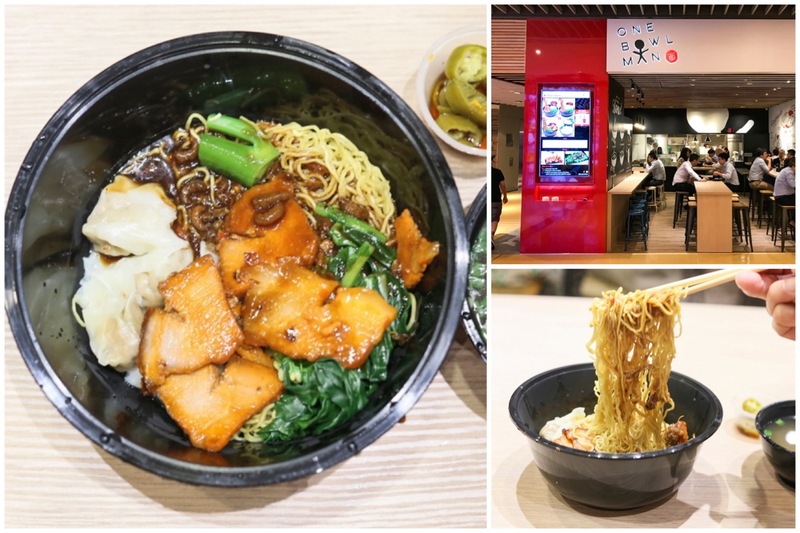 The wholemeal mee kia was springy, dumplings reasonably plump and included with fresh prawns, with XO sauce made with dried shrimps and dried scallops. The rest of the components were not bad actually, but the XO sauce stole the whole show, in a good or bad way. It gave it this saltish-seafoody trace throughout, yet made the noodles greasier than normal. 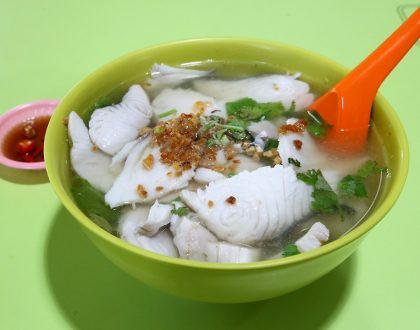 CBD workers who find it too hot to venture to the nearest food centres for wanton noodles, should be willing to fork out more money for this bowl in aircon comfort. I liked it enough, but just think it needed more personality.